Donald Trump bought the property back in the 1970's. 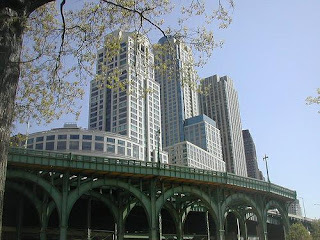 The buildings range from 30 to 40 stories, and the waterfront park covers 23 acres. Design standards imposed variations among the towers, and the street plan respects the existing West Side grid. The first building was completed in 1998. 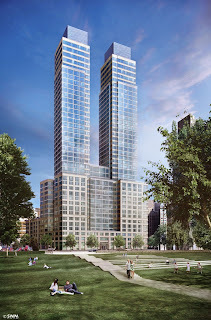 Trump Place was one of New York City’s first projects to offer a unique mix of richly diverse luxury amenities such as English billiard rooms, European spas, tranquil libraries & reading rooms, screening rooms, and sky terraces offering spectacular views. 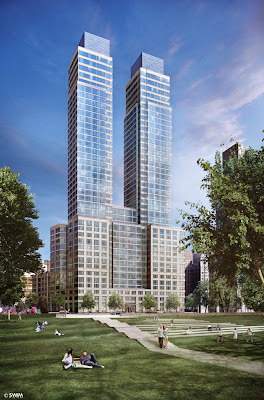 With the 25-acre Riverside Park South offering waterfront bike paths, picnic and sporting areas, and an enormous public recreation pier, Trump Place completes the all inclusive lifestyle like no other neighborhood in New York. In 2000, seven acres of land stretching from 68th to 72nd Streets was added to Riverside Park, called Riverside Park South. In 2005 The Carlyle Group and Extell Development Company purchased a large tract of land and three apartment buildings from investors and Donald Trump for $1.76 billion. 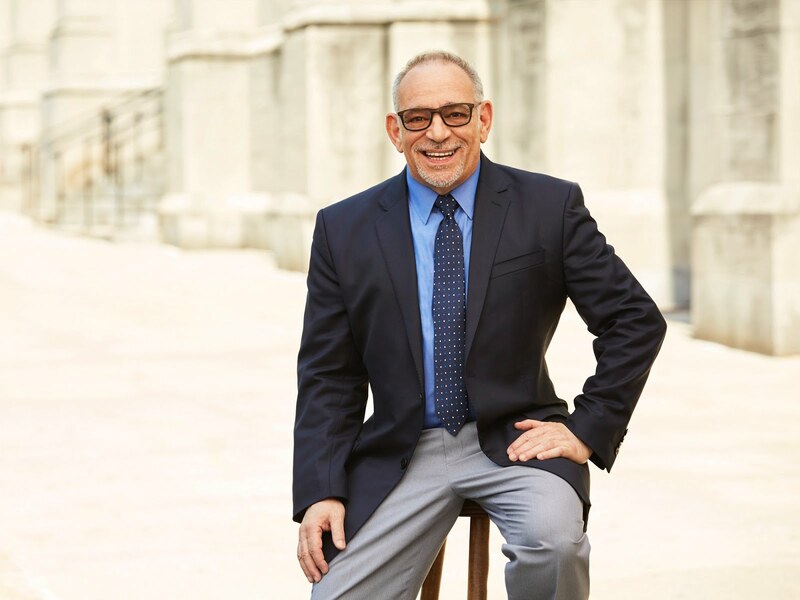 The transaction included a tract of land, which is bounded by 59th and 65th Streets and West End Avenue and Riverside Boulevard, and three existing apartment buildings. Extell developed The Avery, The Rushmore and The Aldyn. The Avery was completed in 2008 and The Rushmore in 2009. The Avery is sold out and only a few sponsor units are available at The Rushmore. However, there are currently resales available at both buildings. The Aldyn, now selling. The buildings will be joined by several additional residential developments (Riverside Center) taking shape in the next few years. Riverside Park South, designed by landscape architect Thomas Balsley, spans from 62nd to 72nd street connecting Riverside Park with Hudson River Park. 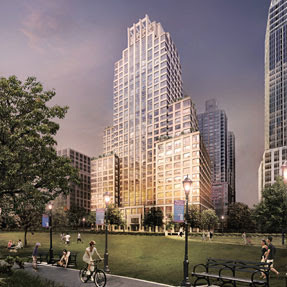 The park offers a balance of recreational opportunities and amenities that reflect the culture of the Upper West Side, including an amphitheater, athletic facilities, community gardens, sunning lawns, café terraces and public art. Other aspects include a boardwalk that spans four city blocks, a bicycle path stretching from The Cloisters to the tip of Manhattan and Pier I stretching 750-feet into the Hudson. Living in Upper West Side brings a number of expensive luxury buildings in the area. Noto, Dakota, is the oldest residential building in the field, and if John Lennon was killed. Many famous people are still living in the building. 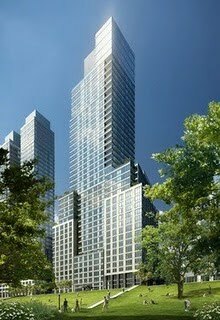 The attractive project is known as The New West Coast at 110-114 Horatio Street and contains 159 rental apartments. The new building, which is also known as 509 West Street, has a orange and tan brick faade with discrete air-conditioners and a canopied entrance with globular wall scones and inset pilasters. It also has a pitched central portion of its roofline and a very attractive pergola designed by Howard Zimmerman Architects on its roofdeck. It has no sidewalk landscaping. Manhattan is indeed a very impressive place. Its architecture is absolutely unique, as it has anything, from classic architectural buildings to very modern ones. The Trump Place buildings are magnificent! These are fantastic buildings. Great post! Keep up the good work.